My name is Moneystepper. This is my confession. I’m a terrible stock market investor. 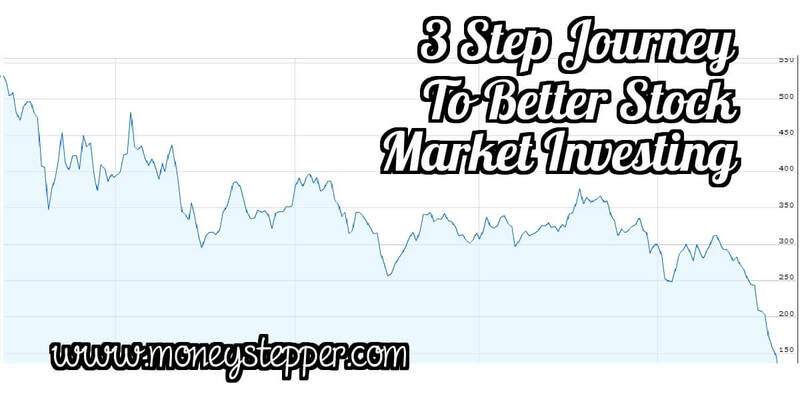 But, today I share with you the story of my 3 step journey to becoming a better stock market investor to make sure you avoid the mistakes that I made! So, I was a terrible stock market investor! Is that big news? Is it worth writing an article about? Should you care? Are you a terrible stock market investor? I’m afraid to say that the answer to all of these questions is probably yes. At this time, I was hearing more about investing in the stock market. Looking back in hindsight, I was only hearing more about investing in the stock market because the stock market was booming. My bank balance was steadily increasing and I had planned to put this money towards a house deposit later that year, and so I wanted to invest my money at a good rate of return in the meantime. Again, now I know that this was a terrible plan as this was money for a short-term goal that I was looking to put into a long-term investment. Luckily, at this time, my brother was working “in the city” and when I asked him about the stock tips that I read in the paper one morning when I was thinking about investing, he was fortunately wise enough to say: “Graham, forget about investing in the stock market for a few years”. He said this due to my current financial position and the fact I was looking to invest in individual shares. It’s sometimes good having a wiser older brother! 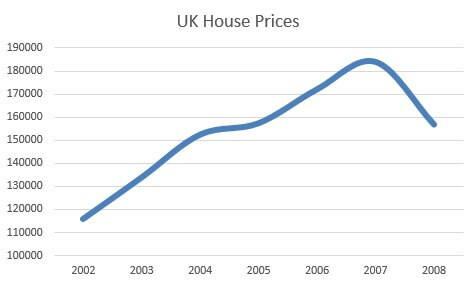 So, after a couple of years with all my salary paying off my mortgage, it took me a while to have the money to get back “into” investing. I thought that I could outsmart the stock market and pick individual stocks based on the knowledge that I’d built up as a chartered accountant over the prior few years. I thought that I could “time the market”. As the linked articles above will tell you, I was wrong on all three. A friend and I started to invest in individual stocks that had either taken a beating in the economic crash and were “bound to bounce back” or future prospects which were undervalued. This is where things got interesting. And by interesting, I mean financially disastrous! Whilst we were right about the market coming back (it always does), our method to investing meant that we very much missed the boat on the gains that were available by investing in the market. There’s a lot of stock buys and sells there. I spent a lot of time “analyzing” companies’ annual accounts, their management teams and future prospects. I used everything I learned through 3 years of education from my ACA exams. And what was my result: I lost £1,536.74 over three years, which represented an annual return on investment of -1.2%. With dividends included, I was probably break even at best. Why was this so terrible? So, whilst I was languishing with a negative annual ROI, in exactly the same time frame the “overall market” (reflective of the type of companies that I was picking in my individual stocks) was a mammoth 20.8% annual ROI! Why You Shouldn’t Listen To Stock Tips! How Much Effort Should I Spend Trying To Beat The Market? None! Max – maximize investments in tax-wrapped accounts (namely pensions and ISAs). Trax – invest in market tracking low-fee index funds or ETFs. Relax – forget about it. Don’t worry about the daily, weekly or monthly performance of the market. Simply buy the “trax” assets, and leave them alone for many, many years to come. Good News – Moneystepper Is No Longer A Terrible Stock Market Investor…! …I’m now by very nature an “average” stock market investor. But, by average, I mean that I’m not performing at the same of the market – the mean return for investors. However, the median return (which is what the typical retail investor will be obtaining) will still be very much worse. The good news is that I learned this lesson when I did. I’ve been back and I’ve looked at all the stock picks that I made in that long list above, and I have calculated how much I would have gained or lost if I had not sold them when I did in favour of a passive investing strategy. My stock picks didn’t get any better over time. In fact, between when I sold (usually around 2013) and in September 2015, the FTSE 250 climbed by another 5%. 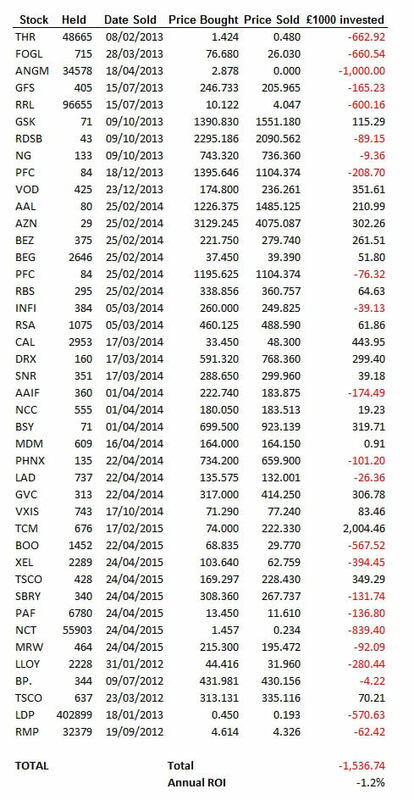 In comparison, my stocks fell even further, losing another £3,410, compared to my original loss of £1,537. 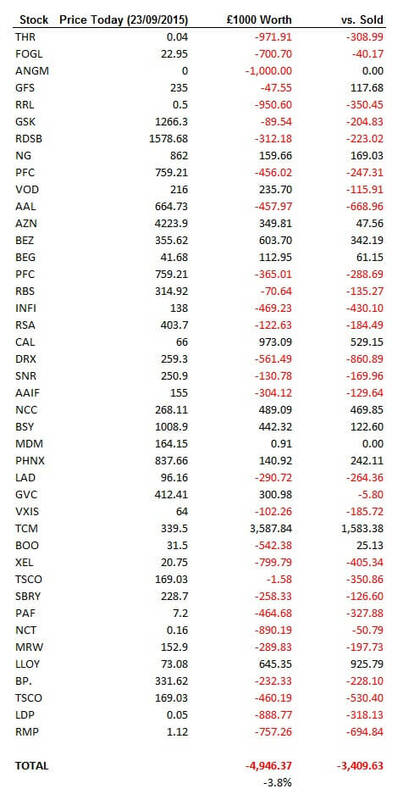 My overall performance from stock picks if I’d have rode them out between when I bought and today is dreadful, even worse than when I “cut my losses”. As such, don’t be afraid to change your strategy. You should obviously never buy high and sell low. However, if the alternative is to continue with a long-term strategy that doesn’t work and means that by holding for longer, you would be buying high and selling LOWER, then selling now may be the best option. From these observations, it’s very easy to conclude that it was a good job that I changed my long-term investing strategy when I did. Don’t overestimate your ability to beat the market like I did in the past. As I said in the introductory video: you don’t need to beat the market, you just need to BE the market! Previously, I spent hours trying to research companies, pick apart financial statements, analyse stock charts, keep up to date with market announcement. My result was significantly under-performing the market, to the extent that I actually lost money in a strong bull market. Now, I spend barely minutes each year thinking about my stock investments, safe in the knowledge that if I can equal the overall market performance over the long-term, I’m very easy (and much more surely) going to achieve my financial dreams. Finally, speaking of financial dreams, don’t forget that you can enter the Moneystepper Savings Challenge before the end of October absolutely free. Sign up today and join a community of participants who are earning, saving and investing their way to financial freedom! Can you predict future stock market performance? Q&A 26 – What Impact Does Changing Jobs Have On Tax? Stock market investing is an addictive attraction. It’s so easy to get sucked into the idea that you can beat all those average joes out there. My husband wants to invest in the stock market. What kind of stocks have consistently been on the rise? The threat of losing all of our investments is really daunting! Like what I said in my other comment, there is always a low moment in stock-buying. We just have to know when those low moments happen. We also need to know about stocks first before we invest in anything about them.